Don Larson was born on February 16, 1930 on the family farm north of Slayton, MN to Paul A. and Evabelle Setterberg Larson. He grew up on the farm and graduated from Slayton High School in 1948. Don then attended the University of Minnesota School of Agriculture. On October 27, 1950 he and Ina Mae Dayton were married at the United Methodist Church in Slayton. Following their marriage they made their home on the Larson family farm in Mason Township, Murray County, MN. In 1954 they moved to a rented farm in Mason Twp. for 12 years before purchasing a farm near Currie, MN. In 1994 they returned to the Larson family farm. Don worked at Schmitz Grain in Currie for over 30 years. Ina Mae passed away on November 6, 2013. Don remained on the farm until October 2016 when he moved to Sunrise Terrace Apartments in Slayton. 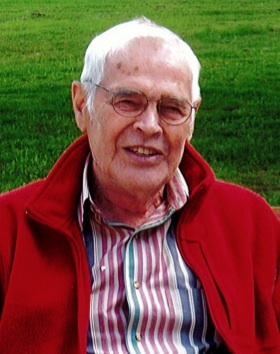 In June 2018 Don became a resident of the Good Samaritan Society-Westbrook where he passed away on Saturday, August 25, 2018 at the age of 88. He was a member of Lake Sarah Baptist Church in rural Slayton, MN where he served as Deacon, usher, and ground maintenance. Don also served on the Lake Sarah Baptist Cemetery Board and the Mason Twp. Board. In his younger days Don was on the Currie bowling and church baseball team. Don enjoyed spending time with family, coffee with friends, caring for his lawn and just being outside. Survivors include his four children and their spouses, Lynn Haberman of Norwood Young America, MN, Sandy and Michael Keller of Burnsville, MN, Connie and William Vihovde of Burnsville, MN, and Douglas Larson of Sioux Falls, SD, son-in-law, Richard Caviness of Waconia, MN, seven grandchildren, 11 great-grandchildren, four sisters, Dorothy Bloemendaal of Slayton, MN, Frances Pedersen of Slayton, MN, Mary Miller and her husband, Willis of New Prague, MN, Margaret Larson of Ellsworth, MN, and one sister-in-law, Marge Larson of Slayton, MN. He is preceded in death by his parents, wife, Ina Mae, son, Paul Larson, daughter, Peggy Caviness, brother David Larson, son-in-law, Ralph Haberman and two brothers-in-law, Henry Pedersen, and Robert ”Bob” Bloemendaal. Lake Sarah Baptist Church in rural Slayton, MN on Wednesday, August 29, 2018 at 10:30 a.m. with Rev. John Lassen officiating. The pianist is Sherri Isder. The pallbearers are Jeff Caviness, Matt Haberman, Jason Mooney, Rod Sanford, Nathan Keller and Michael Keller. Interment is at Lake Sarah Baptist Cemetery in rural Slayton, MN. Visitation will be on Tuesday, August 28, 2018 at the Lake Sarah Baptist Church from 4-7 p.m. Visitation will also be one hour prior to the services at the church on Wednesday.